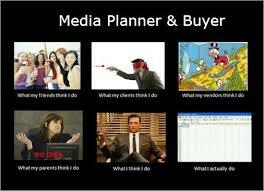 What Exactly does a Media Planner do? HomeLatestWhat Exactly Does A Media Planner Do? The profession of someone who is involved in media planning is that of an advertising professional who can specialise in concluding the perfect placements for advertisements. Media planners work together with their clients to ensure and develop a media strategy which will arrange and position their brand well and get across to the appropriate target market. A number of media planners are employed by advertising agencies, others as independent specialists, and some others for companies which concentrate on media planning services only. Special training is not always necessary for one to become a media planner, although a degree in advertising or some related field can be advantageous, as can knowing a good source of media planning jobs in Malaysia. A lot of media planners study and learn with the work, beginning in lower positions and with time, working their way up the ranks with their experience and demonstrated competence. In this line of work, people skills are essential, as is the ability to meticulously identify demographics, and being able to cut to the core of a client’s mission and products to work out exactly how that company can be best put in place to ensure maximum sales. They also have to consider the particular programming which will be aired along with their advertising, which may necessitate for the media planner to carefully inspect the scripts and screener copies of media for any potential problems. For instance, an ad for certain medication may not go over very well if it is aired during an hour-long medical drama featuring a patient dying of anything related to that medicine. The same goes for a business targeting a conservative audience, which should not be aired on a programme with a liberal view on a situation, as this may offend the targeted demographic. The media planner has to think outside of basic demographic needs and promote brand image. And whilst a lot of products may be marketed to a large swathe of people, such as middle aged men or teenagers, narrowing down to a particular demographic of interest can often produce better results. A media planner must consider how the brand will be positioned in the market, what sort of message they wish to promote, and which type of media programming their advertisings would match the best. Ads are more than space fillers between programmes!